The snowstorm in Kazan began on New Year’s Eve. At the start, it was like a fairytale: midnight, a full blue moon seen through few clouds, stars twinkling here and there. Set against a sea of sparklers, the light snowfall created a truly magical picture. By the morning of January 1st, however, the picture had given way to something different — an unforgiving blizzard, which was to continue for almost four days. According to the meteorologists, the city saw some two months’ worth of snow dumped on it in that short space of time. Following the snowfall, moving around the city became extremely difficult. The mayor’s office tried to convince locals that all services were on emergency stand-by, but I saw almost no snow-removal equipment on show. My friend, who works as a conductor on the longest bus route in town (around 60 km), confirmed there was almost no such equipment on the roads. What seemed to be missing were the special snowploughs. There were tractors and bulldozers, sure, and occasionally you could see machines for pushing the snow to one side of the road. But mechanical snow collectors — the ones which were which so widespread in Soviet times — were nowhere to be seen. There were enormous traffic jams. On some four-lane roads, only two remained open to traffic. Pavements were heaped in snow for over ten days, including those right in the centre, alongside the city’s Kremlin. If you were further out in the new residential district of Azino, you would be walking amongst contemporary high-rises, but forced to navigate some narrow clearing, as if in some remote Siberian village! Naturally, on the other side of the road, a machine would be busy pushing the snow back from the road, making even this small clearing difficult to pass. And this was the situation for the lucky ones amongst us. Many other districts were left without any kind of pedestrian clearings at all. People were simply forced into walking along the centre of the road, risking their lives in the process. What is surprising is that Kazan and Tatarstan are not Western Europe. Snowfalls like this are not rare here: indeed, they take place almost every year. Many people are also unable to hide their disappointment that, for the second time in as many years, Kazan made no preparations at all for the New Year celebrations. There were almost no decorations or lights in the city, and many of the municipal Christmas trees simply vanished. In the past, the trees always acted as a focal point for children’s winter celebrations: alongside the trees authorities always put on snow slides, and wonderful fairytale towns. But not so now for entire districts in Kazan. For two years now, the 300,000 inhabitants of Azino and Gorki districts have been deprived of their usual (and very popular) New Year entertainment. No one forgets we are in the middle of a financial crisis, but they do remember that there were parties even in the poverty-stricken 1990s. Of course, none of this makes the current mayor of Kazan, Ilsur Metshin, any more popular. The public is willing to put up with difficulties, but is never well disposed towards politicians who intentionally deprive citizens of the few joys they used to have. And the hard times are getting even worse for many. It’s still extremely difficult to find a job. My friend Ilmir has been looking for one since August. He found work as a driver twice: once towing cars for an insurance company, and later delivering goods to shops. On both occasions, his employers were in no hurry to register him officially, and were quite happy to exploit him mercilessly. He worked between twelve and fourteen hours a day, with virtually no days off. His monthly salary on the first job was some 2,500 rubles (£51), while the second job paid even less - just 1800 rubles (£37). This money was not even enough for bread and water. Ilmir’s 18-year-old stepson finds himself in a similar position. He finished a vocational high school last year, and has yet to find a job. He tried to register as unemployed to collect benefits, but he was turned down at the employment centre: they said that they had reached their “ceiling”. Perhaps this might explain why official statistics still claim a relatively low level of unemployment in Russia. Comparatively, pensioners find themselves in a slightly better position. At the beginning of the year, the vast majority had their pension increased, albeit by much less than they might have expected. This was in line with the government carrying out a process of ‘valorisation’, i.e. taking into account service records from the Soviet period. These records are calculated from the moment that a person began to work. The longer the period of unbroken service, the higher the amount paid for pension and medical expenses. The concept of the ‘unbroken service record’ means that if there is a gap of more than 2 months between leaving one job and starting another, the record is considered to have been interrupted and the reckoning, as it were, starts all over again from scratch. Given the unemployment in Russia, there is almost no one with an unbroken record, which provides another excuse for calculating the pension at a lower rate and paying almost no medical expenses. In the Soviet Union everyone had to work. If you were not recorded as being in employment, you were considered to be parasite. For this reason, poet Joseph Brodsky, winner of the Nobel Prize for literature and the most famous of the regime’s “parasites”, would not have had single day of work service to his name. The government also played a further trick by excluding time spent studying at universities and professional institutions, time spent in the army for men, and time spent on maternity and childcare leave for women. Both my parents are pensioners: my father was deprived of 10 years of work service, and my mother of 3 years. Accordingly, the additions to their pensions came to just 1,000 (£20) and 800 (£16) rubles respectively. And they are among the lucky ones! Reports on local television suggested that some pensioners had an insulting 3 rubles (6p) added to their pensions. Given that it has a history of trying to deceive them, it is hardly surprising that most Russians do not trust their government. Just take the government programme of co-financing pensions, for example, which was heavily trailed all throughout 2009. The offer was that for every 1000 rubles voluntarily invested in the pension fund, the state would add another 1000. A good offer, on the face of it. I chose not to take part, and it was an easy decision: I have 20 years before I get my pension and our state changes the rules of the game every year. There are no guarantees that in two decades I will get any of this money. I would be better off spending these 12,000 rubles every year on something useful, something that I need right now. It seems that the majority of my fellow citizens think the same way, if the miserable failure of the programme is anything to go by. Five or ten years ago, pensioners might have taken to the streets to complain against the misery, just as they did during the monetisation protests. This time, however, they are not protesting: they’re tired and, besides, it’s pointless to complain. Today’s Russians have little energy for politics. You’ve got to agree with those historians who say that any given generation cannot endure more than one revolution. The current generation of Russians has already had its fair quota. Over the last few months, Tatar eyes have been firmly focused on Russian President Medvedev, and who he would nominate as the republic’s new president. Mintimer Shaimiev has occupied the post since 1991 (he was actually already in charge of the region earlier having, in 1989, been appointed first secretary of the Tatar Regional Committee of the Communist Party). Shaimiev’s political endurance is impressive. He has survived nearly twenty years of political turbulence. He clung on despite being associated with the failed 1991 coup. He has survived Gorbachev, Yeltsin and Putin. He even held out for two years under Medvedev. This March, however, his term is due to run out and there were many rumours as to whether he would be re-appointed. Not that there was ever likely to be an open battle in Tatarstan, of course: it has been a long time since the region has witnessed one of those. But it is true to say that within the government apparatus, there was a great deal of tension. In the end, Shaimiev himself put an end to the intrigue by ruling himself out of the race. Undoubtedly, the federal centre had a hand in this move, and Medvedev was quick to announce that he would offer the post to the current Prime Minister of the region, Rustam Minnikhanov. This decision, it seemed, was itself somewhat of a compromise: on the one hand, Minnikhanov is clearly one of Shaimiev’s henchmen; on the other he is relatively young (52) and pro-active. All the same, one should remember that politics in Tatarstan are clan-based: it is unlikely that anyone outside the circle of relations and close friends would be appointed to any position of power. In this sense, the appointment of Minnikhanov is unlikely to change much. Indeed, Shamiev himself may very well retain his influence and be reincarnated in another position, for example, as speaker of the regional parliament. For this very reason, it is also unlikely that we will see a change in the way the authorities will deal with so-called ‘Murtazin affair’. This was a controversial case involving a high-ranking government official, Irek Murtazin, who was put on trial just before the New Year. Murtazin was actually Shaimiev’s personal press secretary at the turn of this century, before being nominated head of the local state radio company. Murtazin’s fall from grace began when he was removed from this latter post, accused of sympathising with terrorists in his coverage of the autumn 2002 Nord-Ost hostage crisis. From that moment onwards, Murtazin became an opposition journalist and politician, registering as a candidate for elections to various parliaments. The charges brought against Murtazin related to a blog entry he wrote in autumn 2008, in which he claimed the Tatar president had died while on holiday in Turkey, and a later book (The Last President of Tatarstan), in which he detailed several unflattering events supposed to have taken place behind the scenes in higher circles. He also described how Shaimiev became the First Secretary of the Regional Party Committee and then President in 1991. Mintimer Shaimiev wrote to the courts personally, accusing Murtazin of defamation. The case lasted six months and ended with Murtazin being found guilty on two counts — defamation and personal humiliation. He was sentenced to 9 months of corrective hard labour. It was the first trial where the head of a regional government personally observed proceedings as plaintiff. On 15 January, Tatarstan’s Supreme Court upheld the sentence. There were many who hoped that it would not. Despite Murtazin’s far from straightforward character — Lev Zharzhevsky, an esteemed local journalist, believes “he and Shaimiev deserve each other” — the scandal united many people in Murtazin’s defence. Of course, there were few voices speaking out: even if someone is incensed by the sentence, he dare not show this openly. As a result, the local press limited itself to dry reporting from the courtroom. 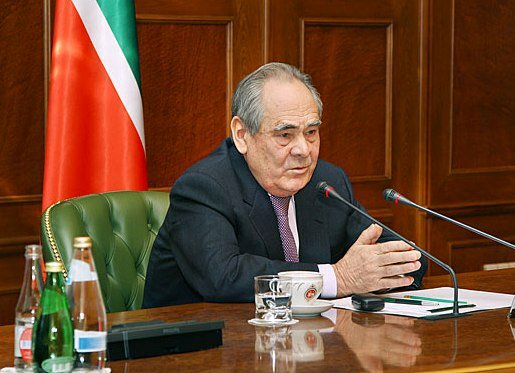 Just Vechernaia Kazan, the region’s lone independent newspaper, dared the following commentary: “Tatarstan has achieved yet another first for contemporary Russia. Mintimer Shaimier’s former press secretary has become the first person to receive a prison sentence for writing a book and blog that did the authorities didn’t agree with”. But never mind about that. I wanted to talk about a white horse. On 3 January, during the blizzard, I was out with a friend, a cameraman called Khaidar. We had stayed too long with friends in a cottage settlement not far from Azino, where we live. When we went outside, we saw buses that were trapped in the snowdrifts right next to the house. We realized that we would have to walk the 4 kilometres home, and off we trudged through the knee-deep snow. Things were slightly better in Azino, but the cars still skidded on the snow, and some policeman was drowning out the blizzard by shouting at a poor driver who could not let his car pass. We were struck watching this picture. And when we turned around, we found ourselves literally face to face with a white horse. The horse wished us a Happy New Year. When it trotted off, we noticed that there was a rider on it. They both calmly disappeared into the white fog. And we stood there in envy: in envy of the white horse that had appeared out of nowhere in the city and in envy of the rider. Neither was afraid of the blizzard. 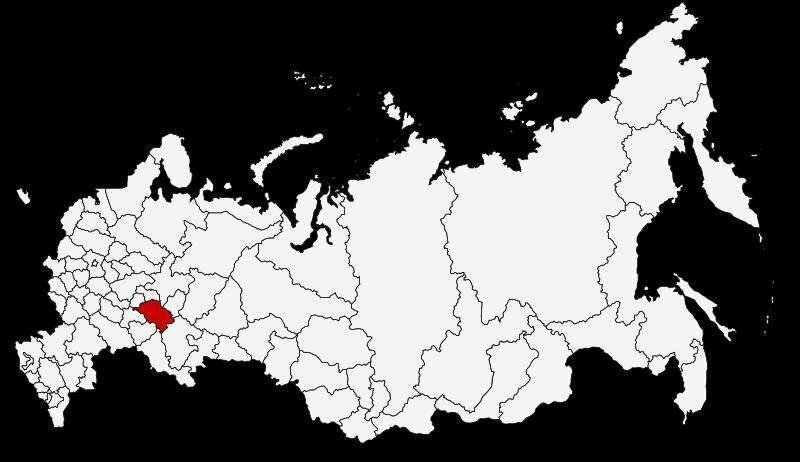 Kazan is one of Russia's largest cities. It stands at the confluence of the Volga and Kazanka rivers and is the capital of the republic of Tatarstan. Under President Minitimer Shaimiyev the republic is proud of its ethnic diversity and the fact that Muslim Tatars and Orthodox Russians live peacefully side by side. Kazan is an important commercial, industrial, cultural and academic centre. Ivan the Terrible conquered it for Russia in 1552. During World War II the city became a centre of military production and many factories were evacuated there from parts of Russia occupied by Nazi troops. After the collapse of the USSR Tatarstan made no secret of its separatist aspirations, but Putin's Kremlin succeeded in reasserting its authority. In 2005 Kazan celebrated its Millenium. Qolsharif Mosque, the largest in the Russian Federation, was built for this occasion.